Juliette Blevins is a world-class phonologist and an advocate for endangered and minority languages, with expertise in Austronesian, Australian Aboriginal, Native American, and Andamanese languages. Her first book, Nhanda, an Aboriginal Language of Western Australia, was based on work with the last speakers of the language, which has now become dormant. Her book Evolutionary Phonology explores the nature of sound patterns and sound change in human language and presents a new theory synthesizing results in historical linguistics, phonetics, and phonological theory. As a senior research scientist at the Max Planck Institute for Evolutionary Anthropology in Leipzig, Blevins worked on a range of major projects, from continued description of the Yurok language of northwestern California, to the role of analogy in grammar, to the reconstruction of proto-languages of two distinct language groups of the Andaman Islands. A major discovery, detailed in her 2018 book, is a probable ancient relationship between Proto-Basque, as newly reconstructed by Blevins, and Proto-Indo-European, the widely accepted ancestor of all Indo-European languages. Professor Blevins holds a Ph.D. in Linguistics from the Massachusetts Institute of Technology, and has taught at the University of Texas, Austin; the University of Western Australia; Stanford University; the University of California, Berkeley; and the University of Leipzig. 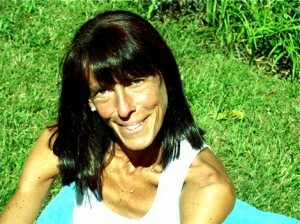 Juliette is a native of northern New Jersey, a competitive age-group runner, and the mother of three daughters.